Early childhood experiences and a commitment to environmental stewardship served this diplomat well throughout his career. 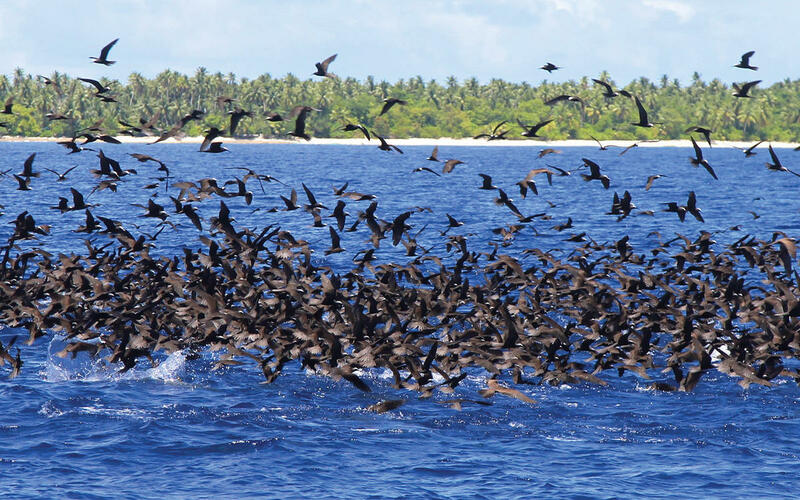 A Marshall Islands unok, or feeding frenzy, in progress. In my eighth-grade environment class, our teacher encouraged us to do field work rather than write a paper. I chose to work alongside and interview a Chesapeake Bay oysterman, who showed me how the oysters filter the water and explained the vital role they play in the bay’s health. I also learned being an oysterman is cold, wet, hard work! A few years later, I worked on the charter fishing boat Breezin’ Thru, where Captain Harry told me about the old days when he would see acres of fish feeding on the surface of the bay. In the Marshall Islands they call such a feeding frenzy an unok. That simple word describes a natural phenomenon in which the big fish force the little ones to the surface, where they are then divebombed by seabirds. Seeing a healthy marine environment is one of the great joys on Earth. Many environmentalists trace their awareness back to such youthful encounters with nature. The image of the unok and my experiences on the Chesapeake Bay stayed with me during my career as a journalist; then as an Environment, Science and Technology officer with the State Department; and through my service as U.S. ambassador to the Marshall Islands from 2012 to 2016. Former Marshall Islands Foreign Minister Tony deBrum had a far more dramatic defining moment. He grew up with whales, dolphins and all manner of marine life, but perhaps his most seminal experience came when he was just 5 years old. On March 1, 1954, he witnessed the Castle Bravo nuclear test, the first of 67 tests the United States would conduct on Bikini Atoll in the Marshall Islands. Tony said the flash from the blast was like seeing a second sunrise. Tony deBrum died of cancer in 2017, but his environmental legacy lives on. He championed one of the world’s largest shark sanctuaries; he crusaded against nuclear proliferation; and he was one of the leaders of the 2015 United Nations Climate Change Conference in Paris. There he led the “high-ambition coalition” of countries hoping to set strong climate change goals to keep sea levels from rising and swamping low-lying island countries like the Marshall Islands. As the U.S. ambassador, I didn’t always agree with Tony. But I loved hearing his stories of the old days. And, since I was there during the Obama administration, we had a common cause in climate change. Our country has the expertise and resources to lead in environmental diplomacy. We should. Still, what could I do from a small country so far away to support President Barack Obama’s and Secretary of State John Kerry’s climate agenda? Not much, I thought—until 2014, when a Finnish documentary filmmaker friend of mine, John Webster, asked if there was someone from the Marshalls he could interview for his next film. He planned to cover the United Nations Secretary- General’s climate summit coming up in New York and mentioned that the U.N. was looking for a civil society speaker to address the heads of state. Could I recommend someone? The poem Kathy presented at the climate summit, which she was still finishing the morning of the performance, was called “Dear Matafele Penem.” Dedicated to her 6-month-old daughter, it brought world leaders to their feet and helped pave the way for the historic signing of the Paris Climate Accord a year later. In her poem, “Tell Them,” Kathy Jetñil-Kijiner says: “We’ve never wanted to leave.” That line refers to the evacuation of Bikini. Although King Juda of Bikini told the U.S. Navy, “It is in God’s hands,” the use of the Marshalls as a testing ground was a foregone conclusion. The U.S. government had determined that atomic testing was necessary for our national security during the Cold War, whatever the consequences for the islanders. Six decades later, the Marshall Islands faces a devastating threat to its national security, in fact to its very existence: inexorably rising sea levels. So it’s time for the United States to help address the crisis instead of adding insult to injury. Now, you could say that such a sentiment sounds like it’s coming from an ambassador who has gone native. What do we care if sea levels rise a meter or two? But environment, science and technology issues truly are national security matters. After all, the Pentagon continues to keep an eye on climate change as a driver of conflict. Our country has the expertise and resources to lead in environmental diplomacy. We should. Environmental issues may not always get first priority, but they aren’t going away. Still, if you want hard-power reasons for acting to reduce the pace of global climate change, I can name two in the Marshall Islands alone. One is the Ronald Reagan Space and Missile Defense facility on Kwajalein, one of the jewels in the U.S. defense architecture. That’s where intercontinental ballistic missiles launched from Vandenberg Air Base in California are tracked and targeted to land in the lagoon in Kwajalein. Those missiles deter North Korea and could be deployed in the case of hostilities. The second incentive for us to act is the fact that the Runit Dome nuclear repository in the Marshall Islands could be swamped by rising seas. Runit is the concrete-capped dome that encapsulates nuclear waste from some of the tests. If seas rise, the dome could be swamped and release those materials. I do not think such an accident would be enough to endanger the world, as some alarmists have claimed, but it would clearly not be good. Such an outcome would represent yet another failure to secure nuclear material, a theme in the global nuclear legacy. 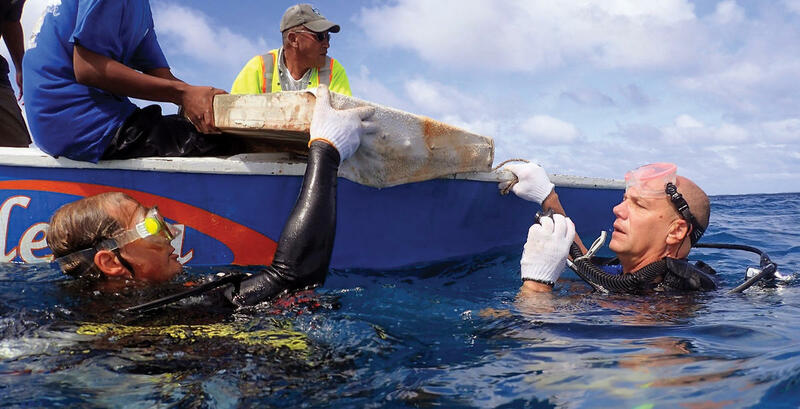 Further, the Marshall Islands is one of the main transshipment points for tuna, and its marine life is stunning. While scuba-diving all over the world, I’ve seen sharks, rays, turtles, barracuda and morays—but never in the abundance I saw during my four years in the Marshall Islands. Fish don’t need passports, so improving the health of the global seas and giving future generations a chance to see these marine wonders has to be an international effort, with environmental diplomats working to find common ground. U.S. 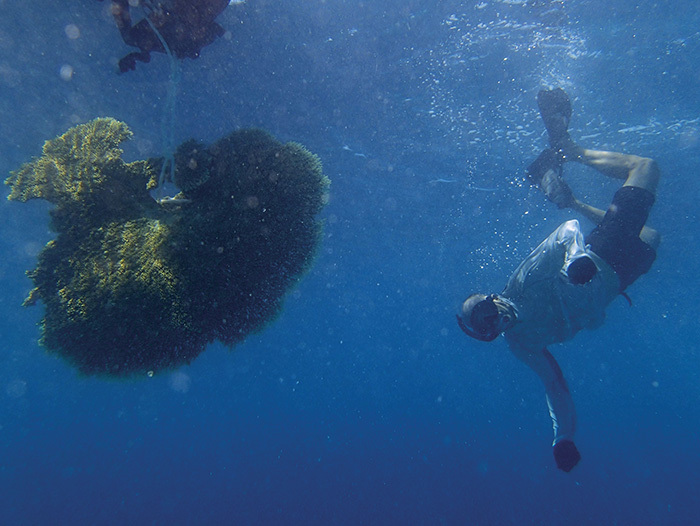 Ambassador Tom Armbruster finds coral from a construction site in the Marshall Islands (below); and, with the help of a fellow diver, retrieves it for relocation elsewhere. Fortunately, to be an environmentalist you really only need one credential: the desire to build a better future for the next generation. That goal poses real challenges, to be sure; but I’m optimistic, especially because young people get it. If the Parkland generation has taught us anything, it is that once they get hold of an issue, look out, world! In addition, the climate change issue isn’t going away, thanks to poets like Kathy Jetñil-Kijiner, statesmen like Tony deBrum and eighth-grade teachers all over the country. I’m also optimistic because I’ve seen what the United States can do. As a polar affairs officer in the Bureau of Oceans and International Environmental and Scientific Affairs in the department, I saw Washington take the lead in the creation of the Arctic Council, a now-powerful multilateral forum of all Arctic countries dedicated to the environment and indigenous issues. And as a nuclear affairs officer in Moscow, I worked on U.S. programs to safeguard Russian nuclear material and to take highly enriched uranium from Russian nuclear missiles and blend it into low-enriched uranium to burn in American nuclear plants. And there is one more reason for hope. I’ve been to Bikini, the site of some of the most destructive nuclear bomb blasts ever conducted on Earth. And the marine environment there is thriving—enough so that the Discovery Channel went to Bikini in 2016 to film Shark Week’s Nuclear Sharks program. Their crew was amazed by the hundreds of sharks they saw. 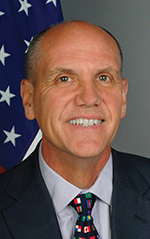 Thomas Armbruster was U.S. ambassador to the Republic of the Marshall Islands from 2012 to 2016, his last assignment before retiring after a 28-year diplomatic career. 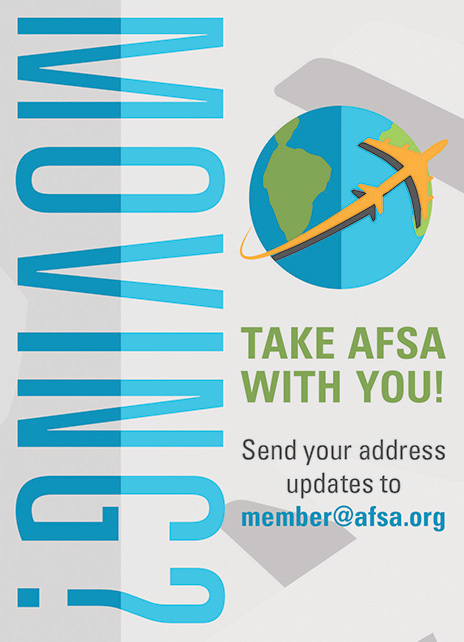 Ambassador Armbruster joined the Foreign Service in 1988 and served overseas in Russia (where he was the only U.S. diplomat ever to arrive by kayak), Tajikistan, Mexico, Cuba and Finland. He received career achievement, meritorious and superior honor awards from the State Department, as well as an award from President Hilda Heine of the Republic of the Marshall Islands. Prior to joining the Service, Amb. Armbruster was a journalist with KGMB-TV in Honolulu and Hawaii Public Radio, as well as Maryland Public Television in Owings Mills, Maryland. His publications include a chapter in the book Inside a U.S. Embassy (FS Books, 2011) and articles in The Foreign Service Journal, State Magazine, Chesapeake Bay Magazine, Above and Beyond, OpsLens, The GeoStrategists and The Ambassadors REVIEW.